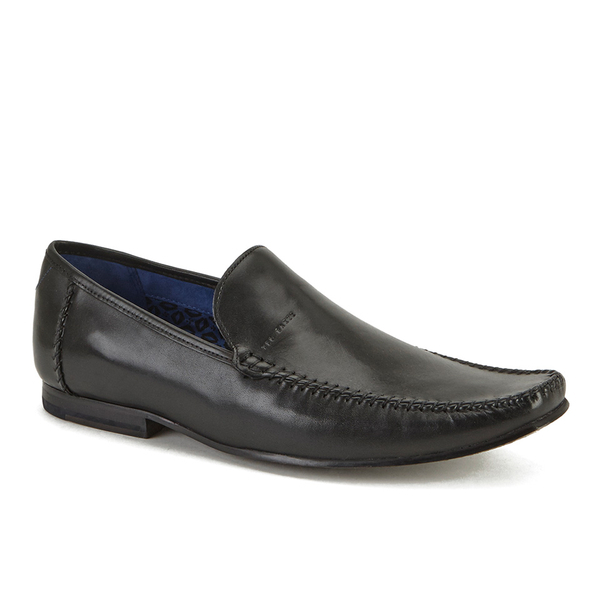 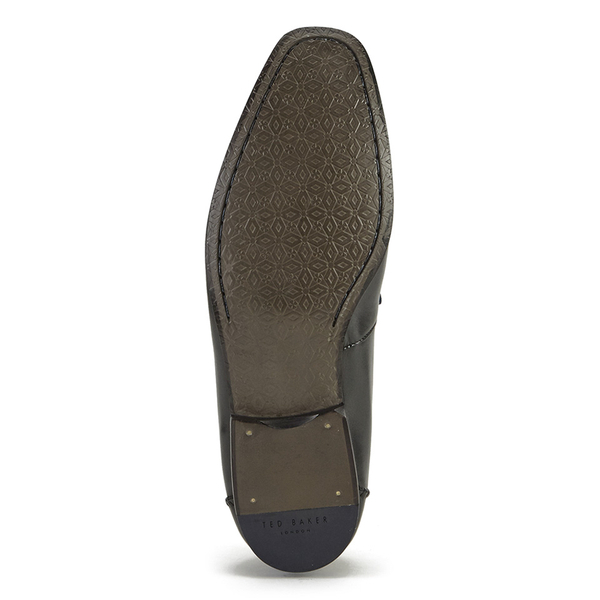 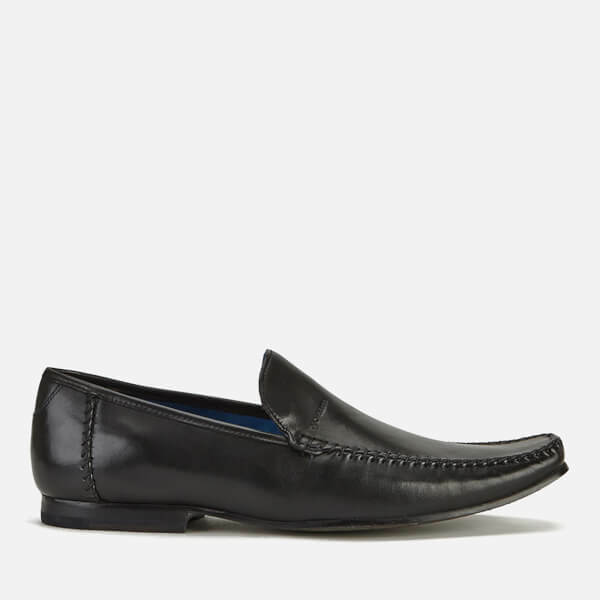 Men’s ‘Bly 8’ black leather loafers from Ted Baker. 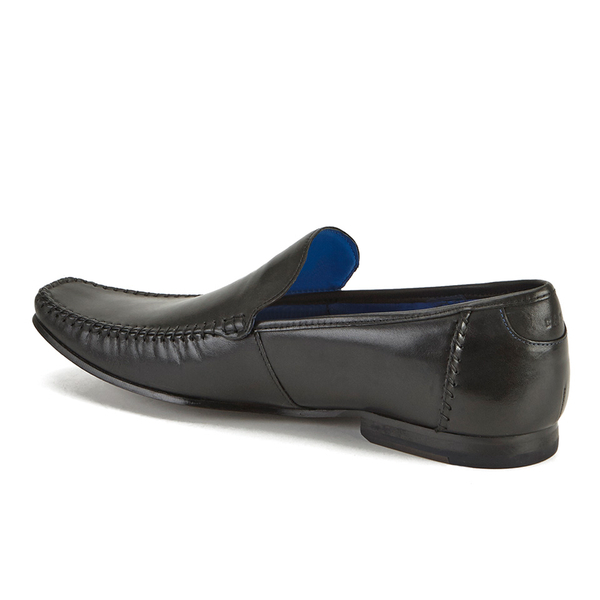 Crafted with premium smooth leather uppers, the slip-on shoes feature a square toe, tonal stitched detailing around the vamp, and a contrasting blue inner lining. 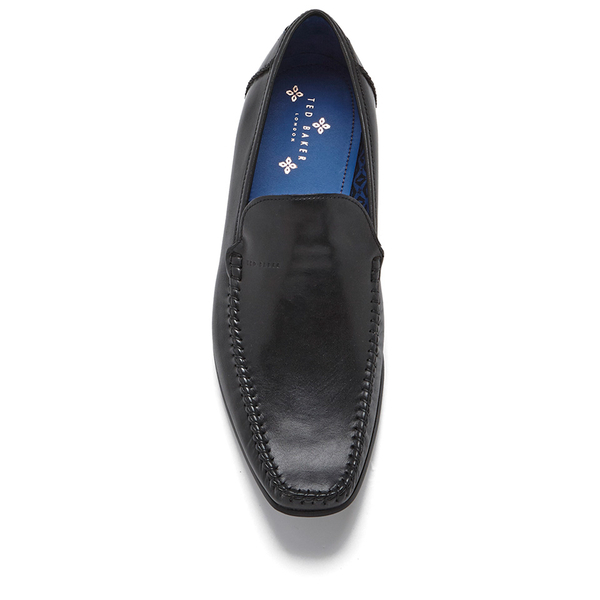 Set on a tonal leather sole, the ‘Bly 8’ loafers are complete with embossed Ted Baker branding to the outstep.